Techprohub - Is a Beat in the Cards for Broadcom (AVGO) in Q2 Earnings? 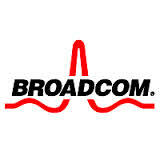 Is a Beat in the Cards for Broadcom (AVGO) in Q2 Earnings? By TechPRO News | June 4, 2018 | Comments Off on Is a Beat in the Cards for Broadcom (AVGO) in Q2 Earnings? Going forward, Purley product cycle, robust demand from enterprise and datacenters along with recovery in HDD demand will aid Enterprise Storage segment.